The Algarve is infamous for great weather and golf courses however, there are a lot more Stag Do ideas in The Algarve then just the golf. Staying in Albufeira (the liveliest resort on The Algarve, fantastic for stags) has a huge advantage, beautiful beaches and more nightlife then I can shake a stick at, and I won the stick shaking championship in 2011. With a massive range of bars from cocktails wine bars, themed pubs to sports bars where you can get a sneaky pint and watch the match before dinner. Restaurants in Albufeira are varied and full of fantastic quality dishes, even though you may not of booked your Stag Do to Albufeira for that reason at least you can get some decent nosh. Then there’s the huge mixture of lively clubs, from open air to air conditioned and gentleman clubs to clubs playing banging music you can loose your mind to. In the day there are loads of unique and popular Stag Do Ideas to keep the boys well happy. One of the most popular Stag Do activities we offer in The Algarve is shark fishing. With hooks as big as your hand and reels strong enough to pull in a double decker bus you will be kitted out and ready to land Jaws. Another activity popular with our stag parties traveling to the Algarve is the Captain Hook Cruise, spend the day chilling on deck with a couple of beers then dive into the crystal clear waters showing other stag and hen parties you have what it takes to dive in the next series of Splash. When us Brits are in a hot country we tend to stay near water and what better place then at a water park. Bomb down spiraling chutes, float on lazy rivers and race your mates down large slides water parks are fantastic fun. If you do like to spoil a good walk then The Algarve is renown for some excellent golf courses. With the sea breeze to contend with and no sign of rain this is a little different to playing in the UK, dare I say it, it’s better! So if you are in need of some amazing Stag Do Ideas and Inspiration for 2013, The Algarve / Albufeira is a great place to go. If you are looking to book a Stag Do and need ideas and inspiration may I just advise you that the DesignaVenture new website is packed to the rafters with ideas, fantastic stag packages and activities. When you arrive at our Stag Do page you are greeted by some amazing images of what our stag weekends are full of, and that’s full on activities, whether it’s in the day or by night. Above these fantastic images you have the navigation menu which stays with you pretty much throughout the website, with a little “You are here” sign which tells you which section you are in. Below the images you have our top 10’s, everyone loves a top 10 so we have gone with Top 10 stag Do Packages, Destinations and activities. Then further on down the DesignaVenture stag do homepage you can find little widgets such as Got A Budget, Stag Dos under a £100 per person, tempting offers, customers comments and so on. The Knowledge centre covers all our sections (Stag Do, Hen Party and Activity Breaks) and is a VAT of information from details of how to book, to organising tips, best man advice and your peace of mind when booking your Stag Do through DesignaVenture. In the next few months we will be adding even more features to our website which includes a customer sign in section where you’ll be able to view your booking, paying on line for you and the party (optional), your wish list, your build your own itineraries and much much more. So if you are looking to book your Stag Do for 2013, rest in the knowledge that you have found the right place. Did we mention that we are currently one of the only Stag Do companies with a 5 out of 5 star rating on Trustpilot? Best shut up then, we don’t want to blow our trumpet too much, gets annoying. One of the most popular stag weekends in the UK we sell, is the Horse Racing Weekend. Whether you choose Ascot, Chester, Bath, Cheltenham, Chepstow, Newcastle, Nottingham or Newbury one thing’s for sure, you are more or less guaranteed a fantastic Stag Do. I say more or less, as you might back a donkey or two, but hey don’t let that put a downer on your weekend, the thrills and spills of a Horse racing event will cheer you up. You don’t have to be an avid racing enthusiast to back a winner, and if there are a few Pro’s in the party, get some tips. But let’s just make one thing clear here, it’s just not all about the racing, there are bars, restaurants and groups of hen parties adding to this popular stag event. One of the top racing events of the horse racing calendar year is Royal Ascot. The best of British days out with an appearance from the Queen, well it’s not called Royal Ascot for nothing you know. Dress up smart and really impress the ladies, as they will be looking outstanding in high heels, summer dresses and weird fascinators or posh hats. 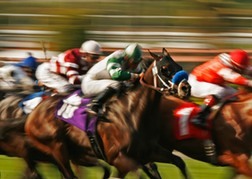 Other race days, which are extremely popular, are Plate & Ladies day in Newcastle and the infamous Cheltenham Gold Cup. On most of DesignaVenture’s Horse Racing Stag Do Packages you will find 3 – 4 star hotel accommodation with breakfast, return transport to the Races and maybe a club or two to visit in the evening. So if you are looking for a stag do which is a real winner, pick one of our popular horse racing weekends in 2013. What should we do on a Stag Do in March? White water rafting which ever country you party in is a good call. Loads of frothing water from melting snow and spring showers, and White Water Rafting is the perfect hangover cure, forget alka seltzer. Quad biking is great fun and when you throw in mud and water you got yourself an awesome activity. Thrash across fields, climb steep inclines and hope for the best through rivers, making quad biking a perfect Stag Do activity for March. Don’t want to get muddy but still want fast, furious and competitive action? Then indoor karts is a great choice, the new breed of indoor karts are faster, sleeker and have the acceleration to bout. These circuits are all computerised, giving you up to the minute standings and who has done the fastest lap. 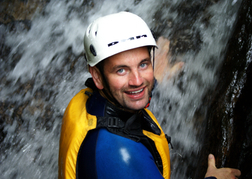 There is one activity which has been created only for the hardiest of stag parties, Canyoning. Walking up a raging river which has cut through a rock creating a the perfect playground for exploring and activities for the daring. Jump into deep pools from ledges as high as 60 foot (the high ones totally optional), shoot down slides created by Mother Nature and climb rock faces with nothing below except a raging river. If none of the above wet your whistle and you just want some full on madness, then you can’t go wrong with the Stag Do favourite of Rage Buggies, in my mind a perfect motorised activity for a group of speed hungry men. So if you need some Stag Do Ideas for March, head over to the stag do section of the DesignaVenture website and get your fix. Thinking of going on a Stag Do in 2013 and have a destination in mind? Before you decide on a date pick up the phone and give DesignaVenture a call, we can make sure that the destination you have chosen for your Stag Weekend isn’t flooded out with rugby, cricket or music fans. For example trying to book a stag party into Manchester when Man United are playing at home is very tricky, most 3 to 4 star hotels are full or selling at extortionate prices. The same goes for stag dos wanting to party in Cardiff, forget trying to book into city centre hotels when there’s an international rugby match playing at the Millennium stadium, especially the 6 nations fixtures. Even Bristol struggles with availability when Wales plays at home at the 6 nations, well it is the next big city Bristol along the M4. There are all sorts of events that can effect you Stag Do, including party political conferences in popular Stag do destinations such as Brighton and Bournemouth, motorized events like F1 at Silverstone and Valencia or Speedway in Cardiff and not forgetting the music festivals in Reading and Leeds. Big Horse racing events can also affect your hotel price, Chester and Cheltenham attract huge crowds when the races are on, especially the world famous Gold Cup in Cheltenham, hotels know this and slap on a supplement. My advice for horse racing weekends is to book them as soon as you can. So if you’re about to book a Stag Do and want to make sure the date you have chosen is available either call DesignaVenture or check out fixtures and events around your chosen destination. As always if you cannot get into your chosen destination there are always thousands of other Stag do ideas kicking about the DesignaVenture website. There is no other month in the year than January when we start to yearn for the summer, and there is not better place to look for some fantastic Stag Do Ideas then the DesignaVenture website. If you are looking for the sun then the Med should be your Stag Do destination, choose Spain for closeness and to make the most of your weekend. For a lively destination Benidorm fits the bill, bars upon bars, clubs on clubs you won’t have time to sleep. However, if you prefer a little culture Valencia is a great place to visit, amazing restaurants surrounded by a colourful old town and a lively beach. Need to keep it local? Then the UK has some of the best Stag Do destinations in the world. Beach side towns such as Bournemouth and Newquay are jammed packed with daytime activities and full on nightlife. Newquay has buckets full of Stag do ideas from Surfing and Coasteering to some incredible Quad Bike racing. Alternatively, Bournemouth offers the always-popular Rage Buggies, Assault Rifle Shooting and some wicked Paintball sites. The nightlife in both these seaside towns is pretty awesome and when the sun is shinning by day and is warm by night, a cheeky party on the beach before hitting the bars and clubs is always a great idea. Two other popular stag weekend destinations spring to mind is Cardiff and Bristol. Both these cities have awesome lively waterside areas to party the night away in. Cardiff Bay has some great bars and clubs with an atmosphere hard to beat. Bristol also has an area called the waterfront with loads of bars and restaurants overlooking the busy canals and harbour side, by night the atmosphere is immense. So if you are in need of some inspiration and wanting loads of Stag Do Ideas head over to the stag do part of the DesignaVenture website where you will find hundreds of stag weekend packages and activities. If there is one Stag Do Destination for 2013, Berlin is definitely it. We think Berlin is the new Prague, the Stag Destination every group will want to visit. It’s an extremely clean city offering a kind of freedom, tolerance and cultural coolness currently like no other city in Europe. It’s also cheap to fly there and the accommodation isn’t on the expensive side giving stag dos a European destination hopefully within budget. 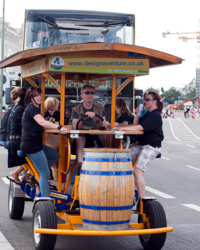 The Beer Bike Tour around Berlin is actuallya 17 seater bike bus where you sit, drink beer and pedal whilst the sober driver is in charge of the steering wheel and where you’re going. There is a 20 litre barrel onboard with a sound system banging out tunes and grabbing the attention of every person you pass. This activity is an amazing amount of fun and is a must! A great and fun way to get around Berlin is by Segway. The Segway Sightseeing Tour takes you around the old andnew city, negotiating daunting stairways and tricky paths and boy do they whizz. Surely 2 wheels will topple over? Not on these machines they are designed not to and don’t, unless you drive like an idiot! 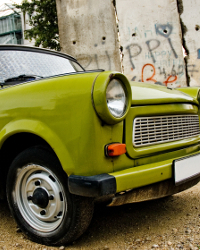 Another unique Stag Do activity in Berlin is the Trabant Driving Experience. Your convey of 2 stroke engined cars (don’t know what 2 stroke means, but is sounds slow), driving around Berlin in this beaten up vintage car is an absolute ball, and is close to a Top Gear Challenge as you can get. Then by night take advantage of our Multilingual female guides, they will help you discover this incredible city without getting lost, ensuring you do not miss the best bars. Then you have the nightclubs, from trendy electronic beats to lap dancing clubs and wild super clubs, you will be spoilt for choice. Don’t be stuck for a European stag destination in 2013, choose Berlin. 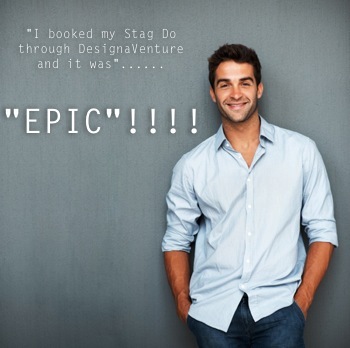 Why Should I Book My Stag Do Through DesignaVenture? First and foremost you are not booking a normal break here this isn’t just another weekender. Booking a stag do is a one off, never to be repeated, an extremely important memory for the Groom. When helping you with your booking, DesignaVenture takes all of this into consideration. Every effort and care is made to make sure your stag weekend is booked in correctly and the whole break works from start to finish. Once you have booked your stag event with us, your customer experience does not change. 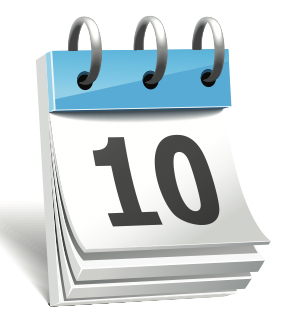 From day one you will get confirmation, itinerary and a letter explaining all the details you need to know. And we are always on the other end of a phone call, chirpy and loving life. Once you have settled your balance, we will then send you out by email and post what we call is an Essential Travel Pack. These details include maps, directions, important telephone numbers and all the information you need in order to have a stress free break. At this point we recommend you forward this email to every member of your stag party. By doing this you will eliminate the excuses from any party members saying no one told me! We will also organise the finer details for you such as, rooming lists, menu choices and forward names onto your activity sites if required, this is all done by liaising with the group leader. Since 2003, we have been organising well planned and great value stag dos throughout the UK and worldwide offering uncompromising stag do ideas. On our website you will find loads of customer comments, you can also find DesignaVenture on independent review sites such as Trustpilot. This site is where customers go on and leave their comments and experiences on loads of different companies, currently DesignaVenture has a 5 star rating (out of 5 obviously). So, if this is not enough to help you make up your mind, why not pick up the phone and have a chat with one of their friendly team members, there’s no commitment to book, just good friendly and honest advice. Your Money is Safe By The Way! DesignaVenture are fully ATOL bonded, plus all the money that you pay to DesignaVenture is held by Barclaycard Merchant service until after your break has been completed. What can I expect to do on a Bristol stag do? Well, I am glad you asked BLOOMING LOADS! From racing karts and Rage Buggies to drinking and tasting cider, It’s a knockout to Canyoning (obviously not in the centre of Bristol), shooting clays to smithereens to laughing your nuts off at a Comedy Club. At DesignaVenture in Bristol we only deal with 4 star hotels including full breakfast so from our Bristol stag do packages you only expect best, and that’s how we like to keep it. All our hotels are also walking distance from the bars, clubs and lap dancing venues unless your in stilettos, well the fancy dress is getting more elaborate these days! I suppose for me Bristol has everything, like London but without the traffic. Need Some Stag Do Inspiration For 2013? If you need inspiration for your stag do, DesignaVenture has the website jam packed full of stag do ideas. Anything from white water rafting to racing Rage Buggies, horse racing weekends to just plain and simple partying. Stag Do packages start from as little as £47.00 per person*. Our customer focused team can help you choose your destination, give you ideas on what to do whilst on tour and help you with the overall organisation. So start with out website have a good look around and then simply give us a call or send us an email and we will pick you up and give you a big bear hug and let you know everything is going to be OK.
We all know arranging groups of people can sometimes be a pain, booking your stag do through DesignaVenture will help you share that burden. Let’s just say the DesignaVenture website has stag do ideas coming out of it’s cyber ears and a customer experience better then a cuddle. *Based on Jan 2013 prices.